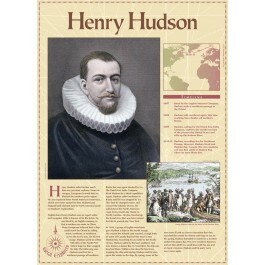 Henry Hudson sailed farther north than any previous explorer. Holland and England both claimed land in North America based on his explorations. 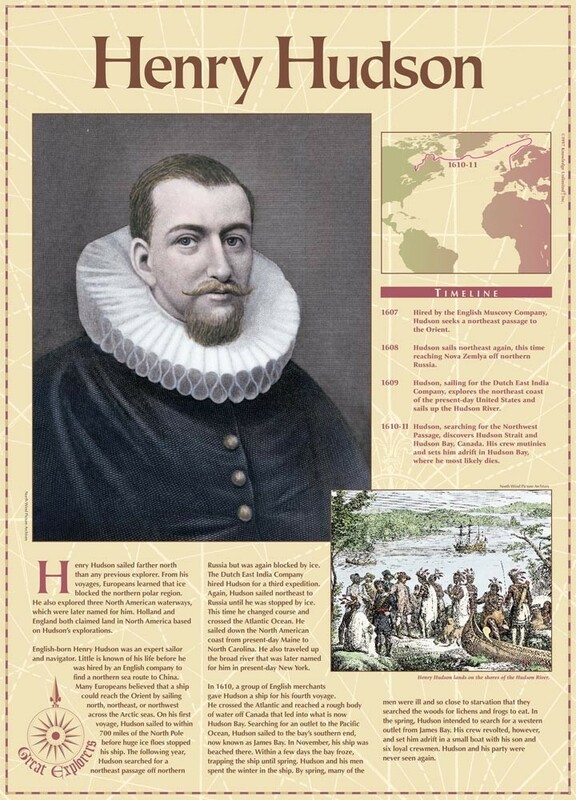 This educational poster features explanatory text, a map and timeline, an art image of Hudson, and an illustration of Hudson landing on the shores of the Hudson River.